What to do with the home? Disclaimer: Divorce by its nature is a legal issue. No information given here is to be considered legal advice. It is a sound principle to get legal counsel for all issue to do with a divorce including real estate issues. Divorce law is complex and different from state to state. Divorces are seldom easy. Disputes over major assets like real estate are common. Divorce not only terminates the legal partnership between two spouses, but can also require that the property previously shared by the couple be divided. What happens to real estate in a divorce? There are endless ways couples resolve this issue. But they can be broken into two basic choices. They can keep the property or sell it. Keeping the property creates issue of ownership, title concerns, liabilities issues both financial and legal, financial concerns like refinancing the loan, qualifying for a new loan, supporting two housing situations, maintenance issues and many more issues. One big issue if the home is to be retained by one spouse is value. Negotiating a divorce property settlement depends on a fair, impartial and accurate assessment of the value of the property to be divided. The professional real estate appraiser is the best choice to state a value. 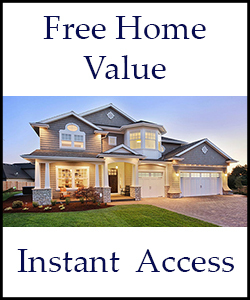 Which real estate value to choose can add or subtract thousands of dollars of value. The market value in “as is” condition is a different value than the income approach to value. Just be on the same page as which value to use. Because of all the complications of keeping the property, many divorcing couples liquidate the real estate assets. Selling the property removes the debt and other liabilities from the situation. The sale most times adds money to the couple’s assets to be divided which is a number. The emotions of a number are much less than a home. Thereby selling the property can lower the stress in a divorce. How to sell the property? Selling the property by owner is going to add a lot of stress. The paperwork concerns of a real estate transaction are already complicated, but it can get exponentially harder in a divorce. If more information is needed on selling real estate by owner follow this link to a helpful resource. Using a real estate agent to sell the property can remove the responsibility of liquidating the home. Using a friend as agent can have some draw backs of exposing them to the legal quagmire of the divorce. Also, because of the nature of divorce, the friend will be exposed to the inside information and emotions of the divorce. This would make it harder to keep the divorce issues private. The last thing a divorcing couple needs is their private lives spreading through the social networks. When choosing a professional real estate company to work with, ask if they can work with your goal of liquidating the property. Real estate can be sold fast or for the highest price. Rarely can both be achieved together. For information on pricing real estate, check out this resource. Another help can be if they can assign two agents. One agent to work with each spouse can be helpful in some situations. Also the real estate company needs to be able to work with any legal team the spouses bring to the situation. Real estate transaction paper work is complicated already. The divorce legal team may want additional paperwork to protect their client. The transaction coordinator should be able to handle these issues. Just be aware that divorce real estate sales do add a level of complication which can cause transactions to fail. Some divorce real estate sales go smoothly. Others fail to close because of divorce issues clouding the sale. Divorce can create issues where no issues where before. Selling real estate is just another arena were divorce contends. Coffee Real Estate Company develops a property marketing plan to achieve the client’s goal. Coffee can also assign more than one agent to work on a transaction without an increase in commission. And our transaction people will work with all interested parties. We can cc all emails and forward documents before signed when possible to get approval if needed. We set up a clear level of communication beforehand and work professionally with all parties. As our client, it is our duty to keep private issues private. We do not market the property as a divorce sale unless our clients want us to. Our mission is to be client focused. Coffee Real Estate offers professional real estate services at the level of assistance that the client wants. Interview us to sell your house. Ask your questions in person. We will come out to your property and do a professional evaluation to establish the best selling price. We will go beyond the standard Comparative Market Analysis or CMA and establish a Broker Price Opinion or BPO* of Value. Call, email or use form to invite us to valuate you house, share marketing ideas, home staging thoughts and the process to sell your house.